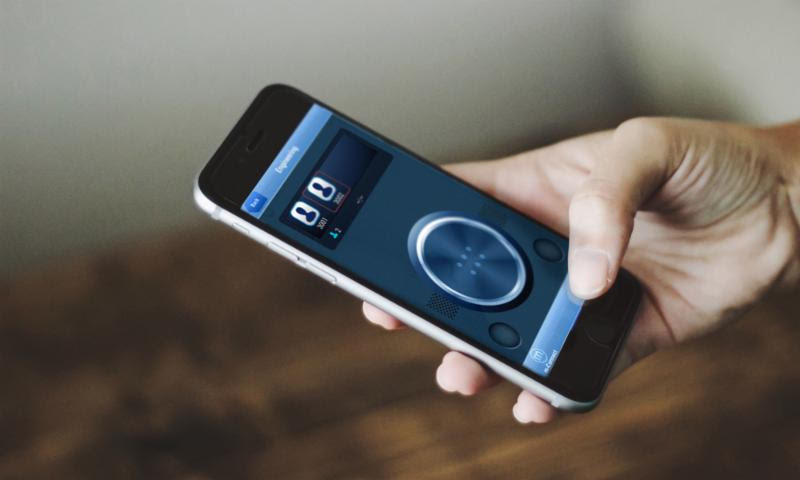 Hospitality's leading push-to-talk mobile app further enhanced to streamline, track and safeguard task information among staff and operations departments. Singapore - 2 November, 2017- FCS Computer Systems, a leading global provider of comprehensive hospitality guest services applications and solution design services, has unveiled FCS Messenger V1.3, the latest version of its advanced hotel staff mobile communication app. This innovative mobile solution ensures the instant and secure transmission of task details and updates across a hotel property and its various operational departments. Compatible with both iOS and Android devices, the latest version of FCS Messenger ensures that employees are able to effortlessly connect with each other via a push-to-talk walkie-talkie style platform that also offers the ability to seamlessly store and retrieve message information whenever needed. "Effective staff communication is such a vital component of running an efficient hotel, reducing costs and ensuring guest satisfaction that we wanted to ensure customers are able to fulfil all of their communication needs through the use of a single mobile app," said William Choo, Product Manager for FCS Messenger. "The latest enhancements to FCS Messenger build off of a proven platform already recognised for enhancing task-related communication, yet goes a step further by adding features designed to ensure that no message or task detail is overlooked or misunderstood." Vital to FCS Messenger's ability to offer superior value, as opposed to traditional walkie-talkies or competing mobile apps, is its ability to record and play back previous conversations. Able to be effortlessly stored and retrieved at any time, staff communications via FCS Messenger ensure a high level of message and task clarity by allowing users to replay conversations in order to guarantee accurate interpretation. Any need for further information can be instantly addressed by using push-to-talk to contact the appropriate person, no matter where they may be located. FCS Messenger also stands apart in its ability to provide a push-to-talk group chat feature that allows users to simultaneously speak with other staff members at the same time, allowing for far greater efficiency in disseminating task updates and general responsibility issues. Able to serve as a standalone solution, FCS Messenger can now also be integrated with FCS Connect, FCS Housekeeping and FCS Engineering mobile apps in order to further boost task completion efficiency and accuracy for guest service, housekeeping and hotel maintenance departments respectively. The solution also works to guarantee the secure transmission of any communication by solely operating on a hotel's private network, ensuring that only those authorised by management are able to gain access to potentially sensitive information. For more information on the full benefits of FCS Messenger V1.3, please visit www.fcscs.com/messenger/. About FCS | Founded in 1982, FCS is a comprehensive hospitality technology solutions and services provider, with an extensive portfolio of integrated products used by more than 5,000 hotels with over 8,000 installations in 32 countries. FCS mobile applications are available on guests' own mobile devices, as well as the hotel's devices, allowing convenient access to hotel information and services. This functionality seamlessly integrates into six web-based guest serving applications, including FCS Connect, FCS Housekeeping, FCS Laundry, FCS Recovery, FCS Engineering and FCS Concierge, to enhance service optimization and the guest experience. These applications all integrate with the hotel's PMS and other third-party systems via FCS Gateways products: FCS Gateway and FCS Voice. For more information, please visit http://www.fcscs.com.